Is Leasing a Toyota Long-Term a Good Option? Leasing a Toyota is an excellent option for many drivers but you will have to make some major decisions. For example, you have to choose between the short and long-term leasing options. A short-term lease is one that lasts between 6 and 24 months. A long-term lease begins at 24 months and they can last up to four or five years. However, the average length of time for a long-term lease is between 24 and 36 months. You may have heard that short-term leasing is the better option. This is because many people believe that entering into a long-term agreement is too risky since things can change quickly. For this reason, they recommend not leasing a vehicle for more than the two-year period. So, should you choose a short or a long-term lease? It really depends on your personal situation but understanding the advantages and disadvantages of long-term leasing will help you make the best decision. There are a couple of good reasons to choose a long-term lease over a short one. For example, the longer you lease the vehicle, the lower your payments will be. As a result, you can get the same vehicle for less when you lease for a longer period and that saves you money. Another advantage is that your allotted mileage will be higher than what you’ll get with a short-term lease. If you don’t have to worry about job security or moving to a new location anytime soon, leasing a Toyota long-term can be a very good option. However, you should also consider whether or not you’ll be happy driving that particular vehicle for the duration of the lease. You need to test drive it and make sure you do like the way it drives and that it has all of the features you’ve been waiting before signing the agreement. There are a few disadvantages to leasing any vehicle for a long period. The biggest worry is that something could happen that requires you to end the agreement early. In this case, you will have to pay the early termination fees. These can be very expensive depending on how much time is left on your lease. Another disadvantage is that you will be driving that same vehicle throughout the agreement. Some people believe that this eliminates the main benefit of leasing, which is to drive a new vehicle with all the latest technology every couple of years. This is why it’s so important for you to look at your own personal situation before making a decision. If you’re not sure where you’ll be living in a year or if your job is not secure, you may want to consider a short-term lease instead just to be on the safe side. Asking others for their opinion is a good idea but keep in mind that the leasing agreement that suits a friend or family member may not be the right choice for you. 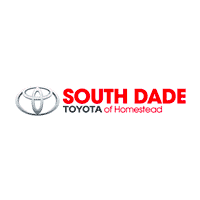 If you need help choosing a leasing plan, feel free to contact our representatives here at South Dade Toyota. We will be happy to go over your situation and the different options available to help you make the best choice for your driving needs. 0 comment(s) so far on Is Leasing a Toyota Long-Term a Good Option?